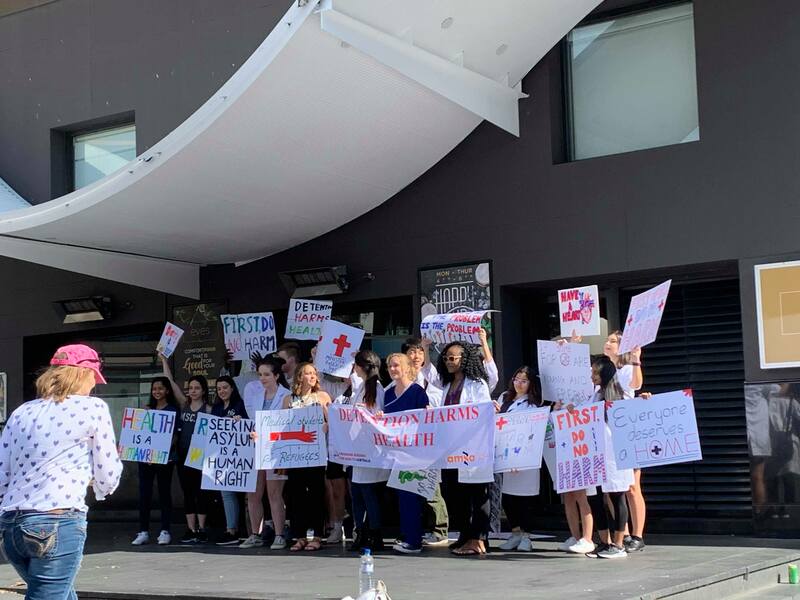 Cries of “no racism, no fear, refugees are welcome here” rang through Belmore Park and Parramatta Road on Sunday afternoon, as the annual Palm Sunday ‘Say Yes to Refugees’ Rally commenced. 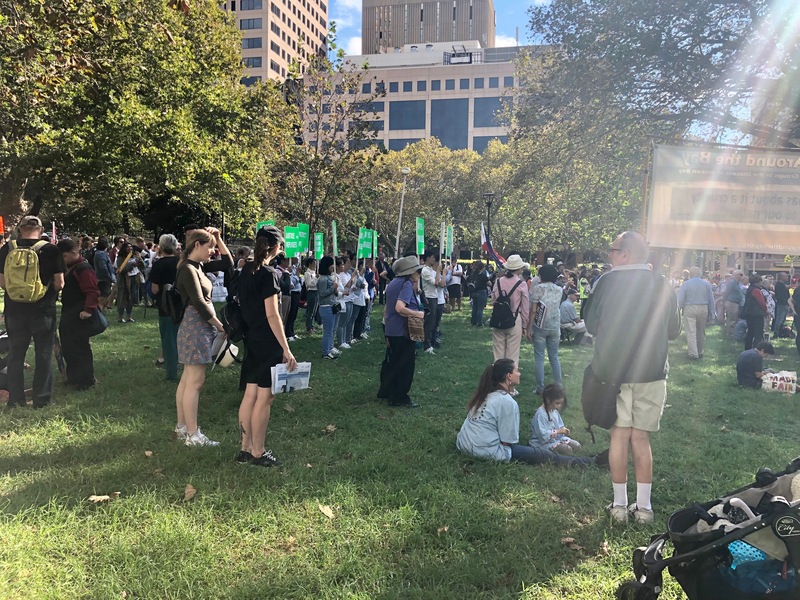 The crowd gathered to protest the treatment of refugees and asylum seekers in offshore detention centres by the Australian Government. 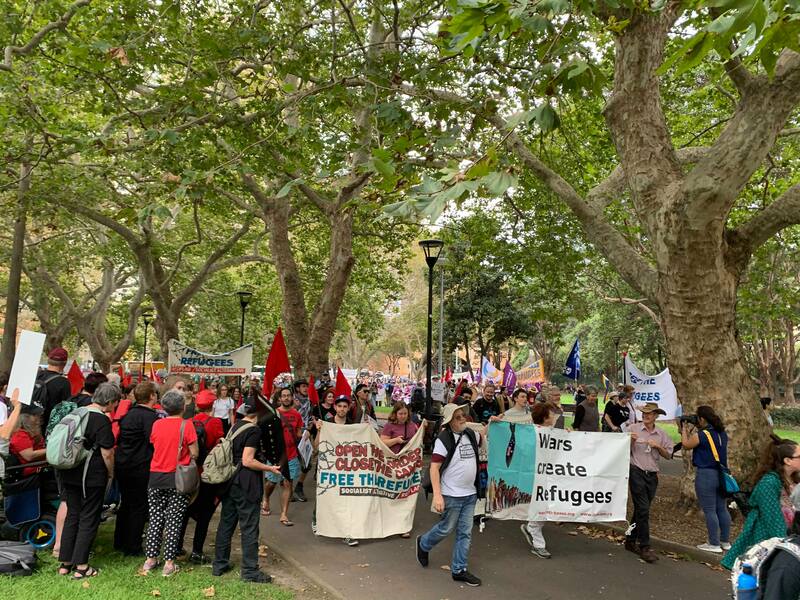 The main rally began at Belmore Park and made its way to Victoria Park. The USyd Student Contingent gathered at Railway Square at 1 pm, accompanied by students from universities across Sydney. Speakers at the main rally included Wiradjuri elder Bronwyn Penrith, refugee Shukufa Tahiri, and Reverend John Barr. Many prominent unions, such as the Teachers Union, were also present in the crowd. The rally has historically been held on Palm Sunday, a day that traditionally marks the beginning of the Holy Week preceding Easter. This year, twenty other rallies have also been being held across Australia this Sunday. Many speakers urged the crowd, to additionally consider the policies of political parties in the lead up to the upcoming federal election on May 18.